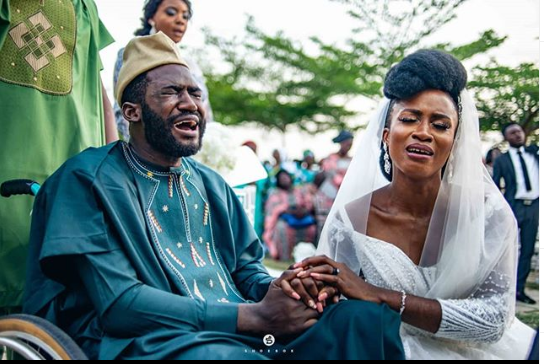 Substance abuse is an issue plaguing quite a number of young Nigerians and many of them now live on the streets due to the effect of the substance in their system. 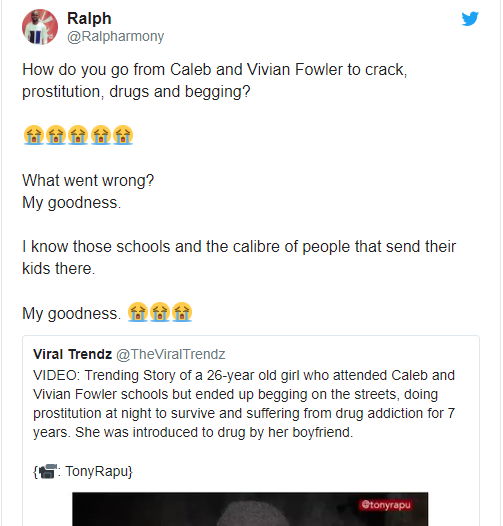 A young Nigerian woman, Lizzy, recently gained the attention of Nigerians after she told the story of how she got hooked on hard drugs. According to the 26-year-old, her boyfriend used to spike her weed with cocaine and she eventually got addicted. 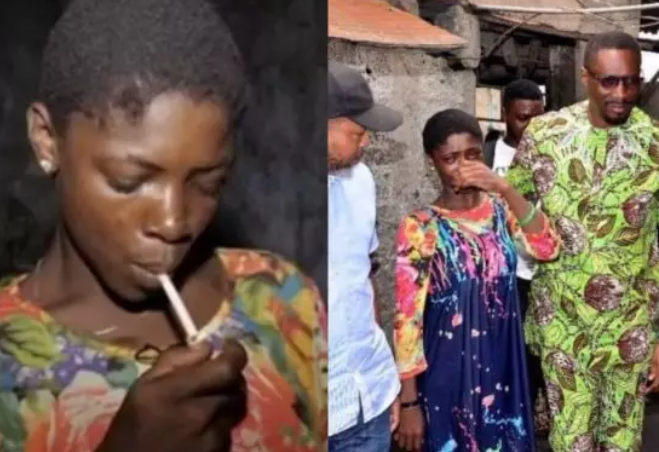 Lizzy’s story was shared on Instagram by a Medical practitioner and a Pastor of This Present House, a popular church in Lekki, Lagos, Tony Rapu, whose foundation is working to get her off drug addiction. 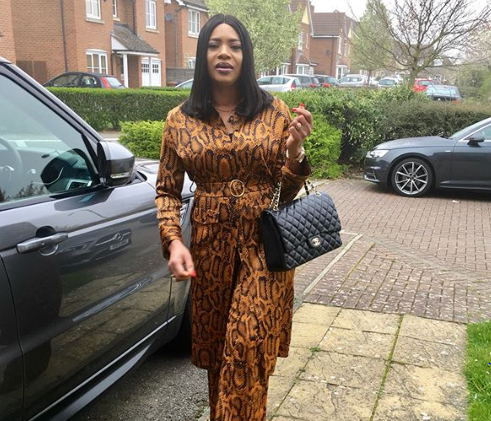 In two videos shared online, Lizzy tells about her upbringing, her addiction to crack cocaine and the depraved night life she lived to make money to pay the drug dealers. 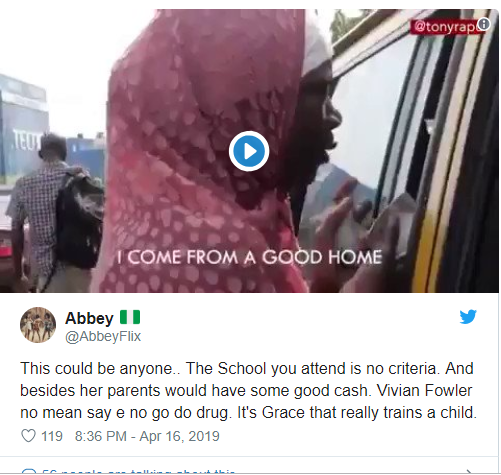 In one of the interviews, Lizzy revealed that she attended some of the most expensive schools in Lagos, Caleb Nursery and Primary school as well as Vivian Fowler secondary school. The young woman also explained that to survive, she resorts to begging during the day while ‘selling’ her body to men at night to feed her addiction. 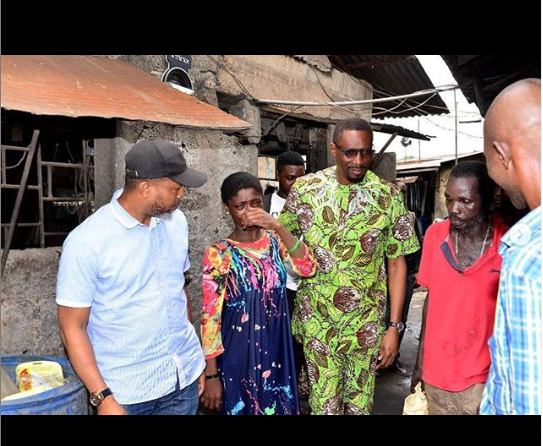 ”We visited Ipodo this afternoon, a dilapidated and degraded community in the heart of Ikeja. We picked up Lizzy over the weekend. Here, she tells a bit of her story while awaiting our arrival at the joint she frequented in Ikeja. Lizzy tells about her upbringing, her addiction to crack cocaine and the depraved night life she lived to make money to pay the drug dealers. ”I am Lizzy. I have been here now for seven years. I have been seeing different rehabs and I have refused to go because I feel they will not be able to take care of me because the Heroin and Cocaine has gone inside of me very well. I finished my secondary school from Vivian Fowler. 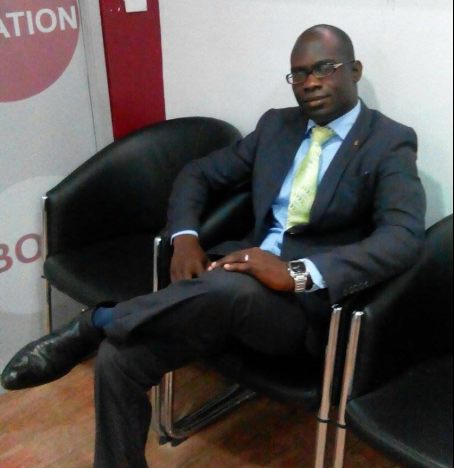 I went to Caleb Nursery and Primary School. I came into drugs through a friend. 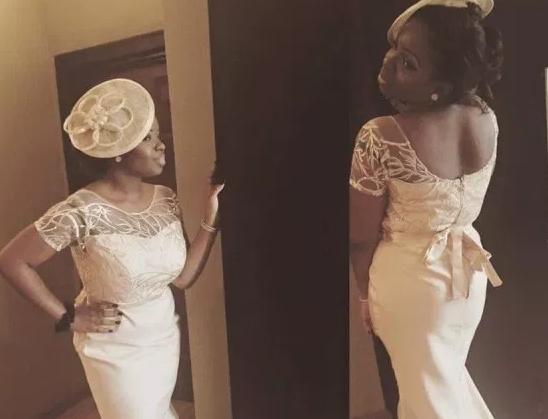 After Lizzy’s story went viral, a number of Nigerians trooped to social media to react. 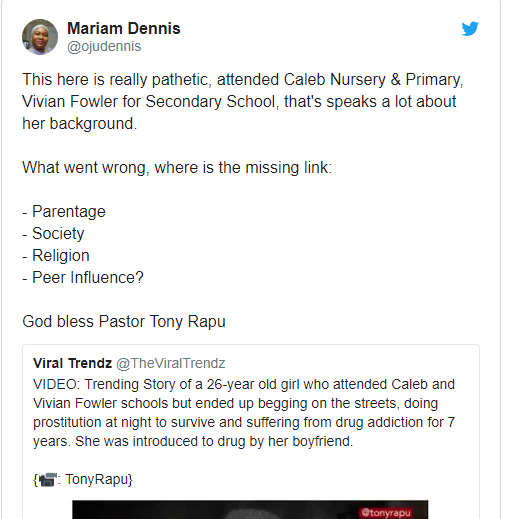 Some people wondered how she was able to fall so low in the society despite coming from a very comfortable home while others wondered how her family members were comfortable leaving her to roam the streets.